Hiroshi Hasegawa is a professor of the Laboratory for Performance Analysis and Training in the Sports Science Department of Ryukoku University, Kyoto, Japan since 2002. He graduated Tsukuba University in Sports and Health Science and received Master of Education for Sport in Hiroshima University. 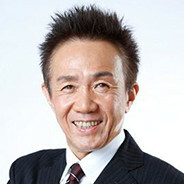 Hiroshi was formerly a board member of NSCA Japan, and is the president of Japan Association of Training Instructors (JATI). The focus of his continued research is in the relationship between athletic performance and physical abilities in various sports to develop strength training and conditioning programs. Hiroshi has worked with a professional soccer club of the Japanese Soccer League (J-league), elite level of rugby team of the Japan Top League Rugby Union Football, and men's volleyball team of the V Premier League. He has also coached university men's soccer teams in USA and Japan. He has been working as an adviser for developing and testing athletic shoes in New Balance Japan. He wrote 7 books including "Strength Training for Sport" by IOC Medical Committee (Blackwell), and has been writing an ongoing series of articles for more than 30 years in various monthly scientific coaching journals in the area of strength training and conditioning for sport.